It's been a gorgeous Easter weekend which meant this morning saw ideal running conditions for our 58 juniors who ran brilliantly and then got to enjoy the lovely treats our Easter bunny dropped off for us. Thank you to the Smith family - and happy birthday for last week Blossom. We were really pleased to make some new running friends today - a very warm welcome to Sophie Spry, Hannah Cunnington and Molly Docherty - excellent efforts from all of you for your first 2K. - Olivia Forrest is our new JW10 course record holder having taken 13 seconds off her PB and finishing just 5 seconds behind our lead runner Findlay McLaren. - Tommy Patten who matched his old - long held (Oct 18) - PB just a couple of weeks ago finally beat it in style with 12 seconds taken off today. Having been running with us since 2014 when he used to "help" the tail walker - it's lovely to see the improvement and consistency he now shows. 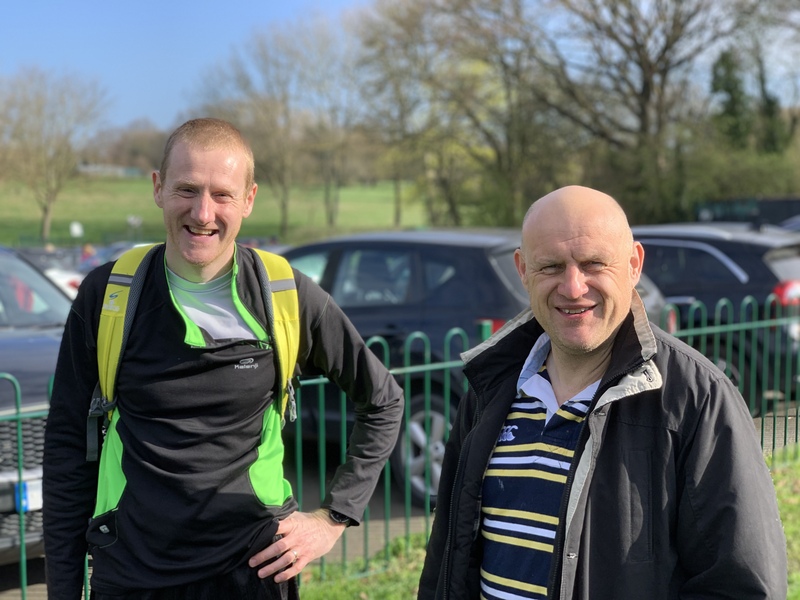 - Samuel Burdett - our most frequent Harrow Lodge junior parkrunner used his 194th appearance to get his new PB knocking 2 seconds off his Oct 18 time. - Summer Smith - took her 7th PB this year - she is simply unstoppable! - Orla Friel - back with us for the first time since 2017 she returned with a considerable 1min 14 seconds of her previous best time! Lovely to have you back! - Isabel Forrest - 80 Harrow Lodge junior runs now and another 9 seconds off her best time. - Nicky Mulholland - another returnee runner who beat a 2016 PB by 1min 12 seconds! - Aidan Raison - Aidan has run with us 81 times since his last PB in July 2016 - today he did an amazing job and took 6 seconds off that time. - Matthew Ley - Another one beating an Oct 18 PB - 3 crucial seconds for Matthew - well done! - Bethany Friel - 2 years since she last joined us but an amazing 2 mins 9 seconds quicker. - Evelyn Raison - beating her September 18 time by 1 minute and 25 seconds - excellent running! Well done again to all of you - we think you are amazing and love that your enjoyment of running is also seeing you improve your times as well. Finally - thanks to our wonderful volunteers - looking lovely in purple today with a good reminder that anyone who volunteers at any parkrun event 25 times can get a free volunteer t-shirt. Its a brilliant club to be part of so please do let us know if we can help you on your way to your t-shirt by volunteering with us soon! 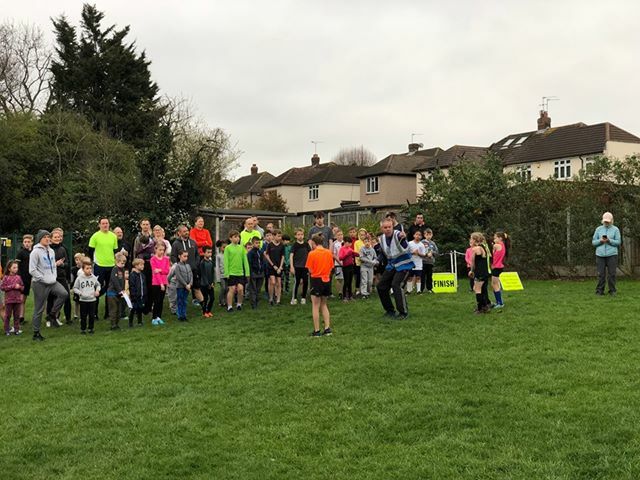 A beautiful but chilly Spring morning greeted our Harrow Lodge juniors this morning who were all ready to start their Sunday morning in the best way possible - a run round the park! 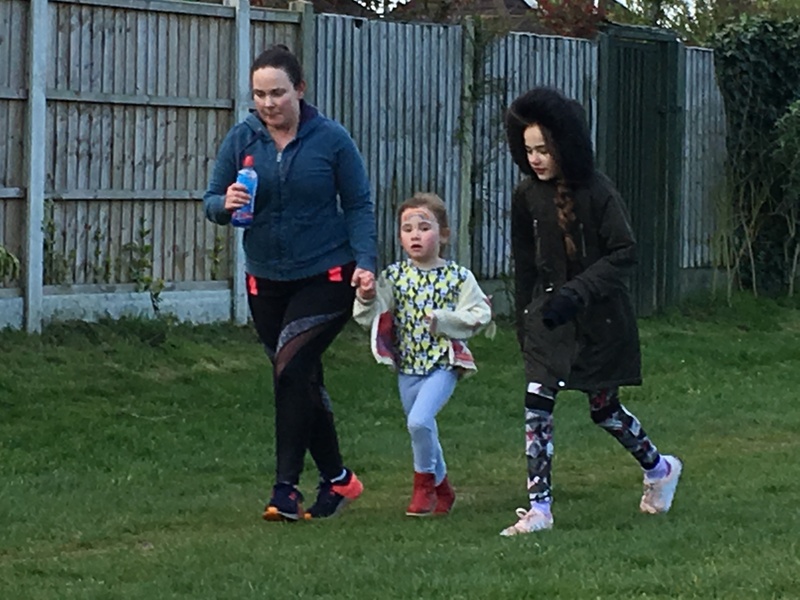 We were especially pleased to welcome such a lot of first timers to the parkrun family - it's true that your one barcode number lasts you for life and allows you to run at any parkrun (junior or adult) anywhere you can find one around the world! (Just dont forget it!) So do make excellent use of it but remember there is no place like home (Harrow Lodge!) and we hope you will come back and see us again soon. Well done on your first run - Nicole Hawkins, Erin Lumsden-Barker, Katie Hawkins, Freya Lutterloch, Freya Bourne, Charlie Nugent and Blossom Smith. 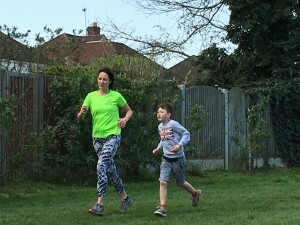 We are also a little sad to say goodbye to the Duke family this week who are moving away from the area and off to find their new junior parkrun next week. It was lovely to meet you and we hope you enjoy all the adventures in your new home. 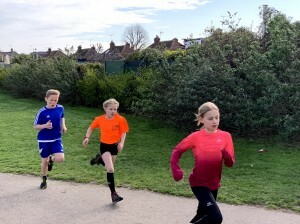 As ever we had some new PB's from our super improving juniors - lots of congratulations to Leila Jones (whose PB also saw a new JW10 course record), Charlotte Casey-Sweeney, Isabella Allen, Henry Wildridge, Emily Quinlan. Olivia Mulholland, Lilly Hunter, Jasmine Bushnell, Elizabeth Smailes and Pippa Bushnell. Congratulations to our half marathon (11 runs) wristband receipients - Lucas Lazer, Lilly Hunter, Joshua Haynes and Alice Jones. Thanks to all our volunteers - especially those who stepped in at the last minute - we were very grateful that we didn't have to call our run off - which would happen if we didn't get enough people to help. 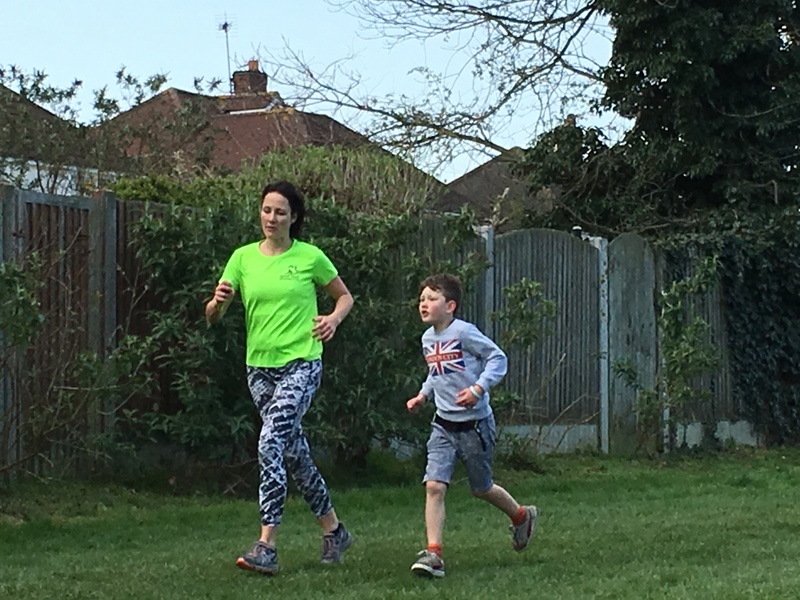 Next week is of course Easter Sunday and I heard a rumour that there may be some Easter eggs and sweets for our runners so do join us again then. So after last weeks run in reverse, we were back to our normal route for this weeks run which thankfully saw the rain stay away for the morning. 59 youngsters joined us in the park including 4 first timers - Ruby Price, Lexie Horne, James Batten and Callie Ziepe - welcome to you all. I wanted to share a conversation from the weekend that made me smile - one of our parents who is usually out running the course was stood at the start and when our first runners came back he was astonished turning to me and saying "wow what time are those children doing this in, and how far is it again?!" 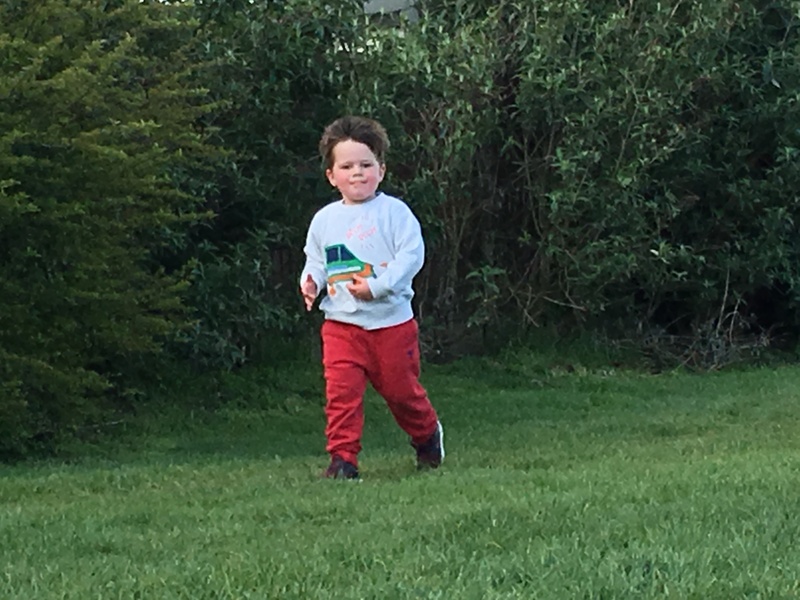 We really do have some very talented youngsters (well done Findlay McLaren on receiving the number 1 token again) but it may interest you to know that the average run time of our juniors since our first event is 12 minutes 20 seconds for the 2km (which broadly equates to a 10 minute mile pace for our older readers!). Congratulations to those who achieved their new PBs this week it's wonderful to see your progress - 13 in all: Heath Baker, Abigail Kruzycka, Jasmine Bushnell, Dylan Cross, Parker Swaisland, Jasmine Bushnell, Ethan Price, Alice Duke, Dylan Ahtti, Aaron Ahtti, Dylan Elsayed, Lauren Batten, Isabella Allen and Charlotte Casey-Sweeney. We were also very pleased to present wristbands to Noah Victorin, Charlotte Casey-Sweeney and Joshua Fowler who have all completed the 11 runs that make up a half marathon distance - well done on your achievement. Thanks as always to our amazing volunteers - we look forward to seeing everyone again next Sunday. Yes, it's true, the Harrow Lodge junior parkrun is 5 years old. It seems a lifetime ago that Dave Keeley was at the helm to line up 22 youngsters for the first run on 30 March 2014. So much, but at the same time so little has changed. junior parkrun remains the best thing going on a Sunday morning and with average numbers continuing to rise, the message seems to be spreading. Today we had 56 youngsters on the course. These included 3 first timers. 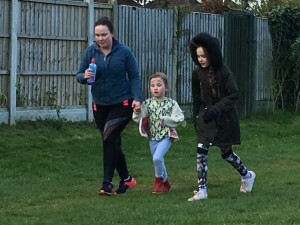 We welcome Olivia Norris, Freya OConnell and Kiran Patel to the parkrun family and hope to see you for many more runs. I should also mention Muhammad Yusuf - the only child that was present on that first run in 2014 who was also running today. It's great to see our youngsters returning and Yusuf's continued love of running is a joy to see. We were very pleased to present 2 half-marathon wristbands to runners who have completed 11 junior parkruns. Congratulations go to Lucy Hetterley and Thomas Simkins on their achievement. As part of the birthday fun we decided to run the course in reverse. Everybody likes a change once in a while and a bit of extra thought with sign changes and extra marshals made it all worth it. You can see the RD here trying to point out the changes during the pre-run brief. Whether the reverse route helped times is hard to say, but whatever the case, there were 21 personal best runs today. Congratulations go to Olivia Forrest, Muhammad Yaqub, Annabelle Kirk, Heath Baker, Oliver Woolnough-Brown, Lilly-Rose Patten, Joshua Fowler, Lucas Lazar, Lilly Hunter, Jack Hildreth, Thomas Watson, Henry Wildridge, Abigail Dickinson, Emma Sedlacek, Willem Bushnell, Alfie Lundgren, Lacey Swain, Daniel Galpin, Jasmine Bushnell, Pippa Bushnell and Amelia Watts. Well done on so many fabulous efforts! A big well done to all the mums that came along to support their youngsters on Mother's Day. You may not have had breakfast in bed but hopefully the effort was worth it (and equally hopefully, the kids made up for it when you got home!!). And finally, thank you to all our wonderful volunteers. We asked for more today and you came out in force. Thank you so much - the kids really do appreciate it! We will be back again for another event round our wonderful park and hope to see you all again then! A gorgeous morning at Harrow Lodge park this Sunday gave us ideal running (and volunteering) conditions! 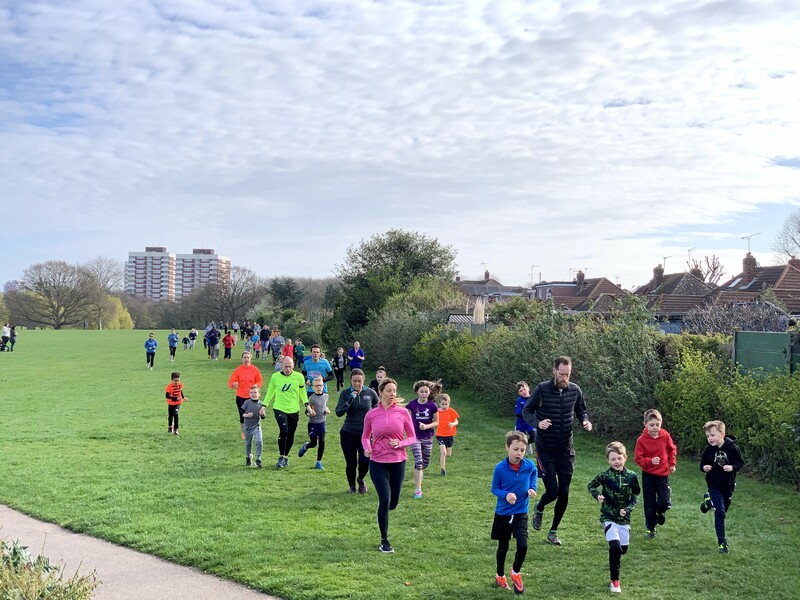 66 young runners came out to join us including 8 first timers - a huge welcome to the parkrun family we hope you enjoyed yourselves. Special thanks to the Galpin family for the lovely feedback - its always great to hear that the children had fun! 18 children got a new PB so huge congratulations to (deep breath)... James Messam, Charlotte Casey-Sweeney, Isabella Allen, Daniel Sedlacek, Lily-Rose Bartram, Henry Wildridge, Kasey Perceval-Broadfield, Oliver Trevor, Jensen Hope, Dylan Elsayed, Thomas Atkin, Phoebe Pickard, Neville Hoyte, Alexandra Taylor, Zoe Hunter, Alfie Lundgren, Marcus Bourne and Joshua Fowler. A special well done too for Tommy Patten (in blue below) - first across the line in his PB equalling time of 8.07 - his consistency recently has been really good and we're sure he'll be setting a new PB time very soon. We also gave out a wristband to Isla Duke for her half marathon and a certificate to Orlaith McLaren for completing 100 junior parkruns - great achievements both of you. We're a few days early but we'd also like to take this opportunity to wish one of our most loyal volunteers Tony a very special happy 50th birthday this week (on the right below). He's taking a few (well earned) weeks off to recover but we hope he enjoys his celebrations. Our volunteers really are amazing and are the only reason we can run this event every week. We are very lucky that we have a great group (like Tony) who always step forward but we always need more people to help out - it really is very easy (a smiley face and the ability to stand still and wear a hi-vis jacket are the main requirements for some of our roles) so please do let us know if you can help. Finally - next Sunday there is a lot going on - the clocks spring forward by a hour, it's mothers day and most importantly, it's our 5th birthday. To celebrate we will be running our course in reverse so do come along to see the difference! There will be cake and we can't wait to see you.